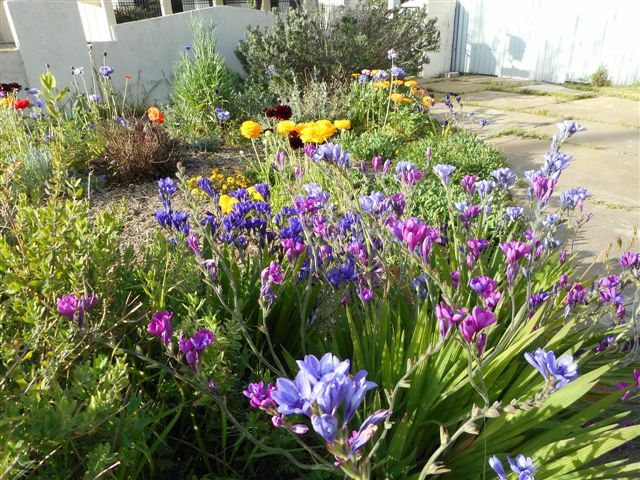 November has been a month of mixed weather and very little rain, like my fellow gardeners in South Australia I have been doing a lot of watering. The flowers in my spring garden are slowly fading still giving me a beautiful display though, my buddleja davidii royal red is coming into blossom, the perfume and tiny flowers that make up the flower head are stunning. I was late in planting my main summer crops so most of them have only been in the ground for a month. All of the tomatoes this year I have grown from seed and are new varieties, I’m really looking forward to the harvest this year, new tastes, shapes, colors and sizes. I am planning on planting some more tomatoes in January for a late summer/autumn crop.Below are the varieties I have planted. I’m making a greater effort to supply my family with lettuces, I don’t want to buy any salad greens ever again! I have a dedicated bed set up, installed the brown dripper hose with 150mm spacing’s which makes for intensive planting, made a seed frame which will allow seeds to germinate in a protected space and the shade cloth keeps the ground moist for longer and lets the water through gently. The bed is covered by white shade cloth which gives 50% shade, this will be on permanently over the summer. So I think I have all the bases covered to achieve this goal! I have bush beans in and want to grow a tall climbing bean so will have to get onto that. Lots of different lettuces. Keep on top of regular seed planting, I have a couple of beds which I will change to the 150mm dripper hose and like most gardeners in the southern hemisphere, get ready to net the fruit trees. 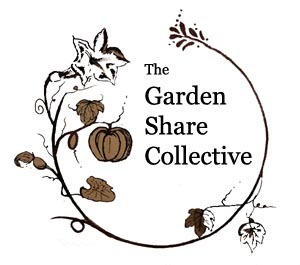 Thanks to the girls from Garden share collective,who each month encourage us to share our gardens and what we are growing. Today, Remembrance Day is a memorial day, to honour and remember the members of the armed forces who died in the line of duty in WW1. 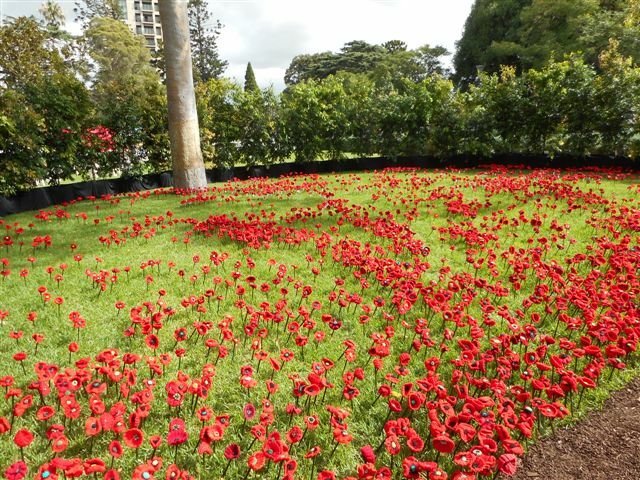 This year at the garden festival in Melbourne there was a fantastic display of crochet poppies which was part of the 5000 poppies project, part of the activities to commemorate the Anzac centenary in 2015. 5000 was their target, the final count was in excess of 250,000 in Melbourne and many other communities around Australia hosting their own displays. Hipsters, sorry to disappoint, this post is not about monster beats by Dr Dre which are high performance headphones. 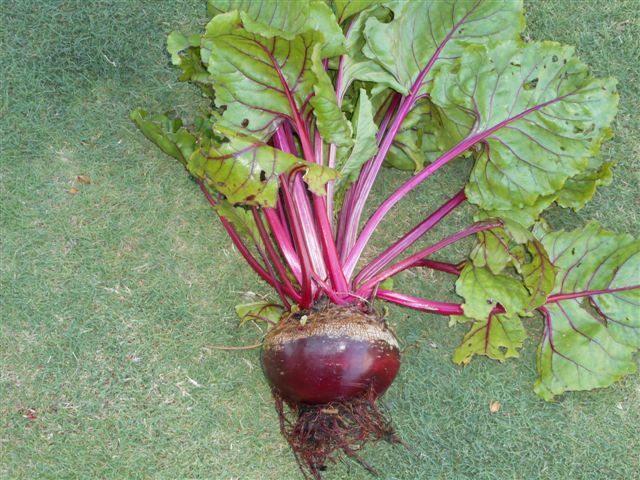 It is about monster beets, beetroot that have been left in the ground too long. I was reading a post by fellow gardener muddy boots and fingernails who was sharing the last of her beets she had harvested and it reminded me of some I hadn’t harvested. Here is my monster beet, without the leaves weighing in at 812g the top is pretty gnarly from growing out of the ground, you are probably thinking “Is she going to eat it?” I’m going to roast some tonight with fennel from the garden and see how it tastes! Adelaide is very lucky to have a group of people who are passionate about sharing and educating us on our basic human right to save seed and grow our own organic food, working with the Earth and not against her. 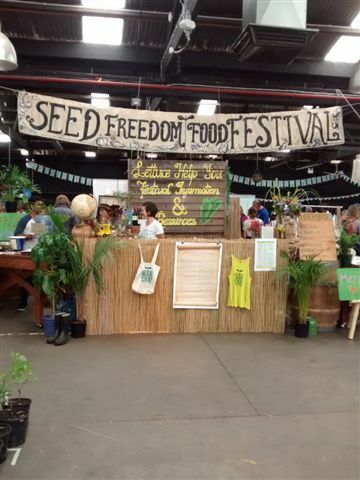 This is the premise behind the Seed Freedom Festival and on Saturday 26th September I attended the 2nd festival held at the Market Shed on Holland in Adelaide. The Market Shed on Holland is as the name suggests a huge market shed, a perfect location for the festival. It started at 10am and being in the city on a Saturday which is also market day, I gave myself an hour to drive in and find a park. I parked on South Tce under shade and had a short 5 minute walk in. The area in front of the main building was a feast for the eyes, there was a stage for live music, a garden tool swap area, lots of good food for sale, booths for information on permaculture & bees, stall holders selling plants, seedlings and seeds all this before I even got to the big shed! The signposting and decorations were magnificent, the first thing I saw was a big welcome sign and the information area, I grabbed a timetable had a quick look at when the workshops started and had a look around. 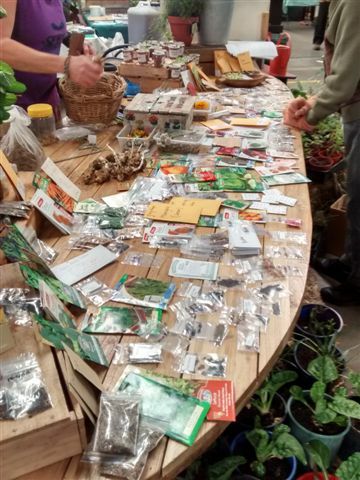 There was a huge seed swap, I had made up some seed packets to swap of saved seed and some diggers seeds I had, I haven’t been to a seed swap before, it was a lot of fun! I went up there 4 times during the day and each time found something new, I came home with 4 new packets of seeds, 2 new chillies, purple ruffled basil and turnip seeds. There were hundreds of packets of seeds on the table it was a great sight. 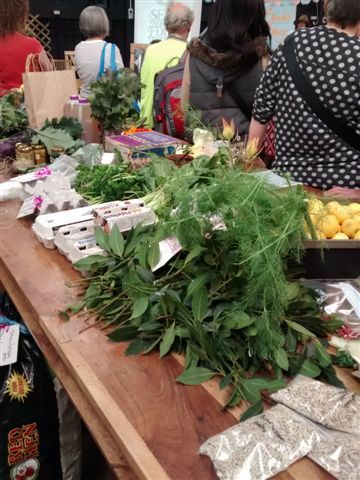 My next stop was the food swap table, I took in a big bag of lemons and some herbs and exchanged them for half a dozen eggs, again there was plenty on the table to choose from, silverbeet, seedlings, flowers, eggs, oranges, a huge variety of winter surplus from peoples gardens. There were 3 workshop areas, all signposted very well and with plenty of seating and good audio so hearing was no problem. Over the day there were 20 speakers, all of the workshops were free and the speakers like everyone who organized this fantastic event donated their time and expertise. Backyard permaculture – Nadja Osterstock. Nadja spoke about the principles of permaculture and gave practical examples of how they would work in your backyard. Traditional & sustainable fruit tree pruning – Simon Ardill. Simon said he likes to grow apricots on a non suckering plum root-stock, satsuma is good. He suggested take a few years to develop a good framework at the expense of early fruit. Backyard Biodiversity – Alistair Martin. Alistair spoke about the abundance of backyard produce and how to share this excess. Ripe near me is an app which helps gardeners list excess produce and others find it. I have used it and can recommend it. The magic harvest program – Tori Arbon. Tori spoke about being inspired by the book 1 magic square and how she has been able to start a community program using the same principles and invited us to initiate it in our own communities. Small scale farming: tools & techniques – Nat Wiseman. 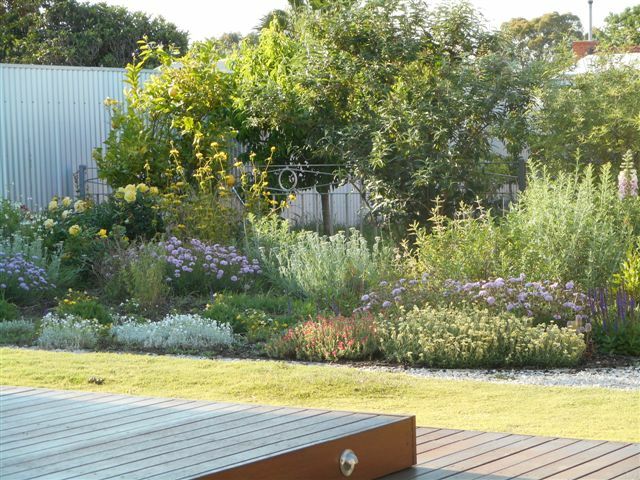 Nat started the wagtail farm which was the size of an urban backyard. He bought in tools that the home gardener can use to make weeding, planting seed and tilling soil easier. He now farms on a larger scale but still uses the same tools. He said he farms using the principles of Eliot Coleman who wrote The new organic grower. He suggested sowing seed every week in the green house so you always have something to plant out. In between these fantastic workshops I had a very tasty pizza from the wood oven on site, there was a lot of very good food to choose from. Purchased a couple of seedlings for the garden, and chatted to some lovely people with similar interests. It was a day connecting with like minded people, talking and listening about all things gardens, it was a perfect day for me, I look forward to next year and highly recommend it to you all if you are in my neck of the woods in September 2016. 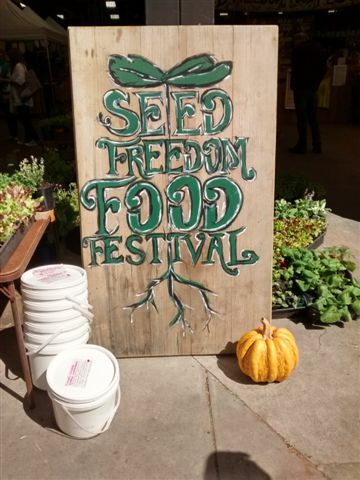 Here is the link to the Seed Freedom Food Festival for all updates. I often write about seeds, I did a quick search on the blog and found 9 posts that had something to do with seed buying, planting, growing, looking, dreaming….. I think you get the picture and you may have read some of these past posts. Growing from seed is one of my greatest pleasures in gardening, I love waiting and anticipating the first sight of green from the soil. 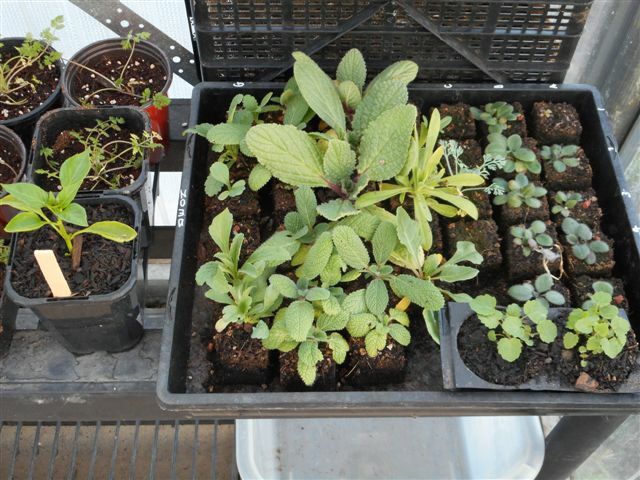 I decided that I would try and grow as many flower and vegetable seedlings myself this season and try not to buy any. I started August 20th, I made soil blocks for my fist batches, I have 2 heating mats and used these as well. I was very happy with my first batch of flower seeds most of them germinated, I have salvia, rudbeckia, scabiosa, poppies, zinnia, corn cockle and cosmos about 40 seedlings to plant, a great success for me. My vegetable seeds I planted at the end of August, I have been very unhappy with the germination rate. I have had to re-seed tomatoes 3 times and of the 25 I planted I have 10 germinate. Capsicums and chillies have been shocking, I have had them on the heating mat as they need heat to germinate and again have done 3 re-seeds and only 2 germinated. No chillies have come up yet, basil only 1 plant, beans super slow to germinate, no eggplants and I can see a couple of cucumber shoots only now. I am still sowing seeds and will continue to do it weekly, I think I will have to buy some single advance seedlings to have some early crops but fingers crossed for some of the capsicums to sprout as I was really excited about the varieties I found. I need to connect the irrigation for my 3 new garden beds, I bought a 50m roll of water pipe which I use to make the shade structures for my beds have a few more to make. Get ready for early October planting.